Do I need a guide or can I rent a paddle board on my own? You can do either! 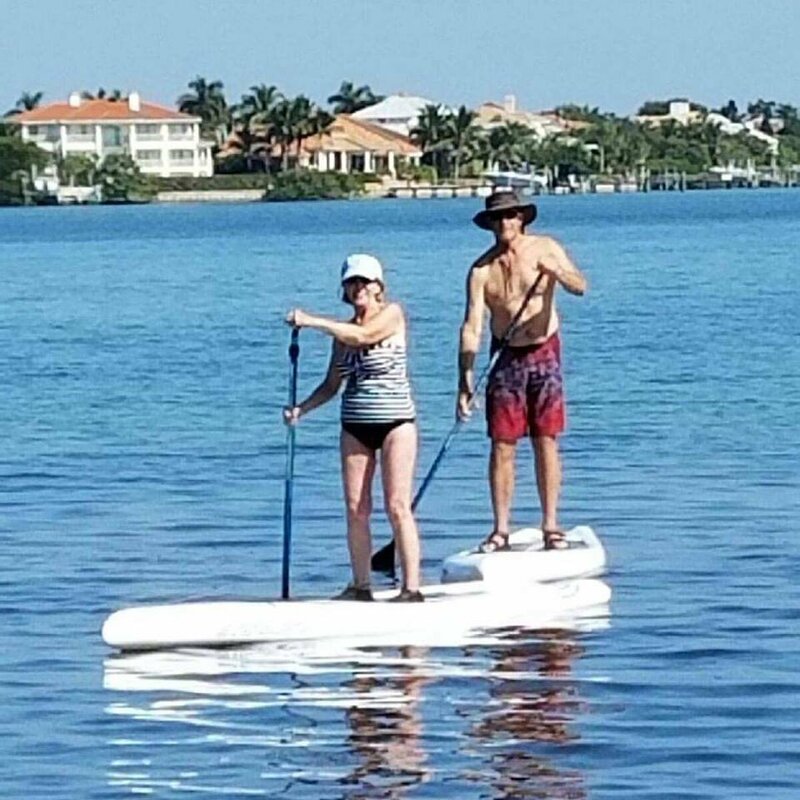 You are welcome to take the paddle board out on your own, or if you would like a guide or need some help getting started, we can do that too. Can I rent a paddle board and take it with me anywhere? Yes. You can rent a paddle board from us and go paddle boarding where ever you’d like. Depending on where you’re located, we’ll even deliver your board to you! If you are planning on taking the paddle board in your own vehicle it can go in a truck or van, or on top of a car with roof racks. Boards are over 10 feet long, so they will not fit inside most mini vans. 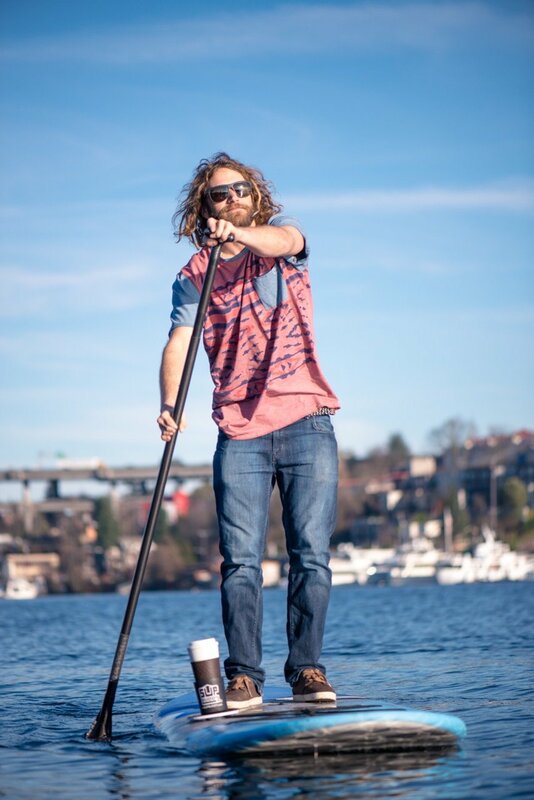 Why rent your paddleboard from us? We recommend you rent from us—we’re the most affordable on St. Pete Beach. While you might find kiosks by the hotels offering boards, they charge way more than we do. And we will make sure that you are on a board that is the right size for your size and ability. Do I need paddle boarding experience? No, no experience is needed to rent from us or to paddle board. We cater to beginners and provide lessons if requested. Our only requirement is that you know how to swim and that you have the ability to balance on the board. How should I prepare to go paddle boarding? Be ready to spend the day in the sun and sea. Avoid alcohol the night before. The day of, eat a healthy breakfast, and drink lots of water. Bring a towel and fresh change of clothes. Wear sunscreen, sunglasses, and a hat if you’d like. Polarized sunglasses will help you see into the water and increase your chances of spotting marine life. What should I wear paddle boarding? Wear clothing that can get wet. In warm weather, a swimsuit or shorts and a tee work well. In cold weather, a wetsuit is recommended. We do rent wetsuits as well during winter months. Do I need to wear water shoes? No, you don’t need to, but you can if you want. Most people prefer to paddle board barefoot. What rules are there about paddle boarding? The U.S. Coast Guard lists a paddle board as a vessel, which means it has the same safety requirements as other small human-powered vessels (like canoes and kayaks). Refer to the Florida Fish and Wildlife Conservation Commission's site for regulations. Does it need to be wavy to paddle board? No waves are necessary to have fun paddle boarding. You are the paddle boards motor, not the waves. In fact, flat water is preferred in the beginning! We can recommend some flat water spots near Fort DeSoto and Shell Key as well as in St Pete Beach. What happens if I fall off the board and into the water? Most of the people who rent from us do not fall. If you do though, it’s okay! The water is often shallow, and you’ll be wearing a life jacket to keep you floating and a leash to keep you close to the board. If you fall into the water, just crawl back on! 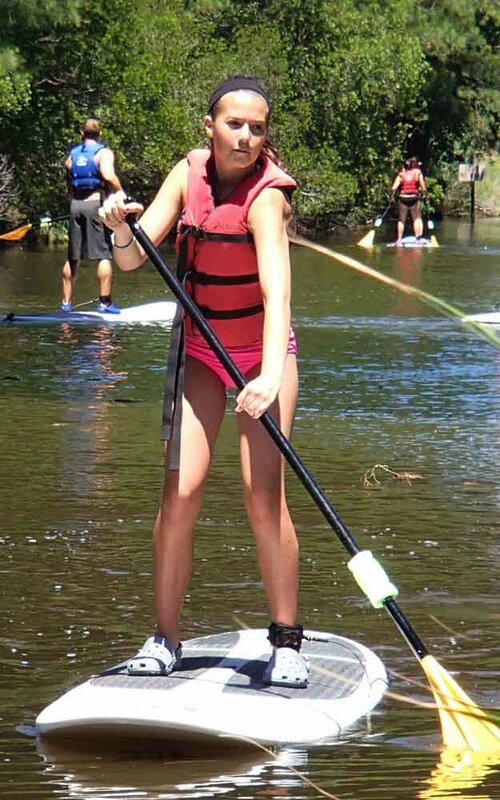 Can I paddle board with a bad knee or back? We’ll leave this one up to you and your doctor. Most people who can get from sitting on the ground to standing up without help, have no problem. Paddle boarding may not be intensive, but it does require you to kneel and pick up a paddle board.